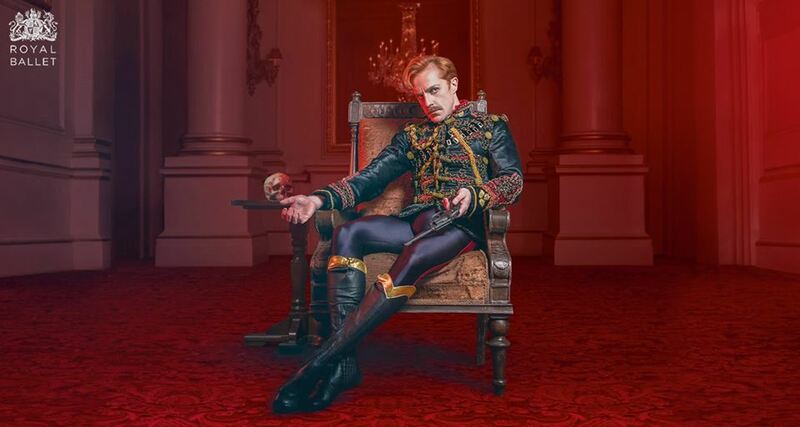 The Live Cinema series continues with a screening of the current Royal Ballet production of Kenneth MacMillan’s "Mayerling," with one screening on Wednesday, November 14 at 6:00 p.m. Choreographer Kenneth MacMillan brings 19th-century Europe to life with this dark and dangerous ballet. Based on the true story of Crown Prince Rudolf, "Mayerling" reveals a country on the brink of collapse, impending war in Europe and a love affair between Rudolf and his mistress Baroness Mary Vetsera that ends in tragedy. "Mayerling" is a classic of the Royal Ballet repertory, with its emotional depth, haunting imagery, music by Franz Liszt and one of the most demanding roles ever created for a male dancer. The cast on this production includes Crown Prince Rudolf danced by Principal Dancer Steven McRae, Mary Vetsera (Sarah Lamb), Countess Marie Larisch (Laura Morera), Colonel Middelton (Nehemiah Kish), Empress Elisabeth (Kristen McNally) Emperor Franz Joseph (Gary Avis), Princess Stephanie (Meaghan Grace Hinkis), Mitzi Casper (Mayara Magri) and Bratfisch (James Hay). The large cast allows for impressive ensembles in addition to the ballet’s many solos of distinctive character and pas de deux of disturbing eroticism. The Royal Opera House cinema broadcasts offer audiences the best seat in the house with exclusive behind-the-scenes footage, interviews and incredibly detailed close-ups of performers. This production contains scenes of an adult nature and may not be suitable for young audience members. Runtime: approximately 3 hours 15 minutes, including an onscreen introduction and two intermissions. Beer, wine, popcorn, and snacks will be available for purchase, and may be taken into the theater. No outside food or beverages allowed. Reserved seating: $15 Adults, $10 Students (in advance); $18 Adults, $12 Students (at the door). Tickets will be available to Members on Monday, October 1, to e-mail subscribers on Friday, October 5, and to the general public on Friday, October 12, online or by calling the box office at 509-529-6500. For group ticket sales, please call 509-876-1662. The 2018 Live Cinema Series is sponsored in part by Shakespeare Walla Walla.